RC & MC Series There are 13 products. 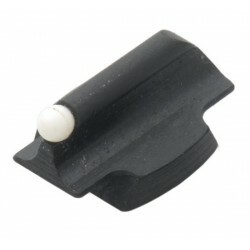 LPA anti-glare serrated ramp for our MC56 front sight. The model to be welded.Height: 5,2 mm (.204).Width: 9 mm (.354).For barrels: Ø 14 ÷ 16 mm (.550 ÷ 630).Center to center distance: 16 mm (.630). LPA anti-glare serrated ramp for our MC56 front sight. The model to be fixed with two 3 ma or 6/48" screws (to be specifed).Height: 5,2 mm (.204).Width: 9 mm (.354).For barrels: Ø 14 ÷ 16 mm (.550 ÷ 630).Center to center distance: 16 mm (.630). 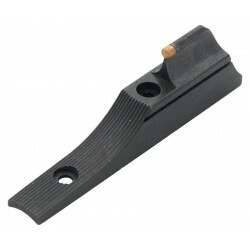 LPA anti-glare serrated ramp for our MC54 front sight. 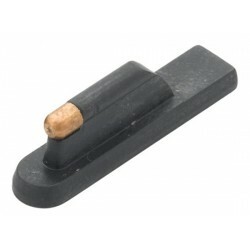 The model to be welded.Height: 5,5 mm (.21 6).Width: 9 mm (.354).For barrels: Ø 14 ÷ 16 mm (.550 ÷ 630).Center to center distance: 25,4 mm (1''). fied).Height: 5,5 mm (.21 6).Width: 9 mm (.354).For barrels: Ø 14 ÷ 16 mm (.550 ÷ 630).Center to center distance: 25,4 mm (1''). 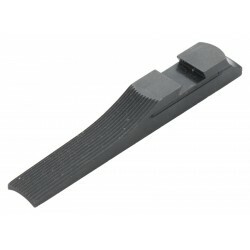 LPA anti-glare serrated ramp for our MC56 front sight. Fixing with two 3 ma or 6/48" screws (to be specified).Height: 7 mm (.275).Width: 9 mm (.354) .For barrels: Ø 14 ÷ 16 mm (.550 ÷ 630).Center to center distance: 50,8 mm (2”). LPA integral ramp front sight. Anti-glare serration. Fixing with two 3 ma or 6/48" screws (to be specified). To order specify the height.Center to center distance: 25,4 mm (1 “).For barrel: Ø 14 ÷ 16 mm (.550 ÷ .630). 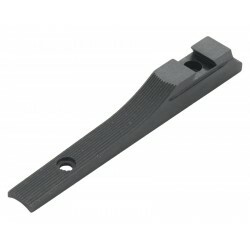 LPA ergal ramp with adjustable front sight (fixing by two screws, 3 ma or 6/48").Height adjustment from 14 mm (.550) to 18 mm (.708) windage adjustment from each side 0,5 mm (.197).Center to center distance: 35.8 mm (1.41)For barrels: ø 14 ÷ 16 mm (.550 ÷ 630). LPA front sight to be fitted into the dovetail on the rib.To order specify the heightDovetail: 5,20 mm (.204)X15° X 2 mm (.0787) height. 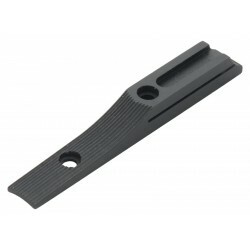 LPA front sight to be fitted into the dovetail on the rib or our Ramp RC70.To order specify height.Dovetail: 5,20 mm (.204)X15° X 2 mm (.0787) height. LPA ramp style front sight. To be fitted into RC68 or RC90 ramps. 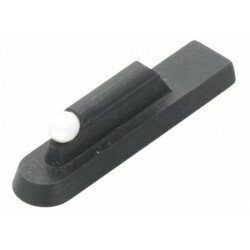 Anti-glare serration.To order specify the height.Width = 9 mm (.354).Dovetail: 3/8” X 30° X 2,5 mm (.0984) height.